These lines are from one of the “many letters” received by local police from a clutch of villages in eastern MP’s Rajgarh district over the last three days following a communal clash in Khujner town during a Republic Day event — the first such incident under the new Congress regime. One group claims the clash was triggered by “provocative remarks” from a section attending the event involving around 25 schools, the other side says it was sparked by a fight between two men based on a previous personal dispute. And initially, Khujner police lodged FIRs against 16 persons, including members of rival sides, mainly on charges of rioting. But the communal faultlines have widened after six men — Samad Khan, Sakir Khan, Abrar Khan, Zakir Khan, Imtiaz Khan and Shameer Khan — were arrested and sedition charges imposed following a memorandum submitted Monday by BJP leaders, including Pankaj Sharma, the local body president, and former MLA Amar Singh Yadav. Shameer Khan was later granted bail. 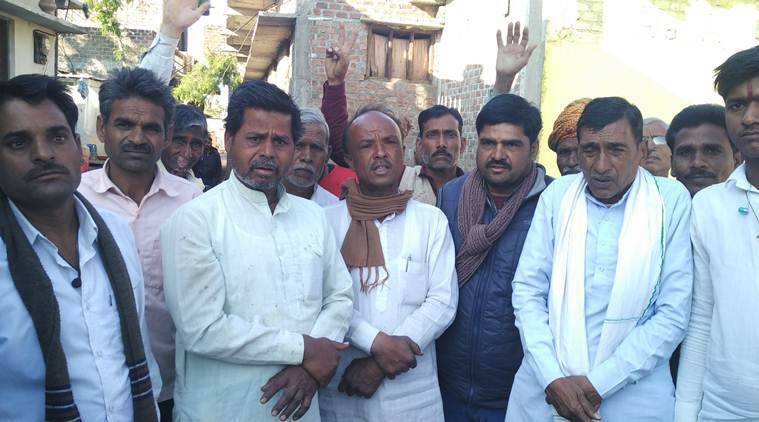 On the same day, senior BJP leader and ex-CM Shivraj Singh Chouhan posted a series of tweets alleging that “anti-social elements are raising their heads, creating anarchy…” Late Tuesday, he visited Bhilkhedi village, where some of the children injured in the clash hail from. “How can I remain silent when unruly elements carry weapons to a Republic Day event, causing havoc among children?” he said. “Muslims should not visit our village. We won’t promise their safety. Our children are so scared after what happened that they are refusing to go to school,” said Ramesh Nagar, 45, and Jagdish Pardhi, 40, from Bhilkhedi. The two were referring to the clash on January 26, when hundreds of students from private and government schools in the area assembled at Manglik Bhavan, a community hall in Khujner, for the event organised by the local body. Community leader Aziz Maula claimed that “Muslims have been framed”. “Despite claims about Muslims having brandished arms, no one has submitted any proof, like photographs or videos. Our children, too, attended the event and are as scared as the others. We have also received reports that Muslim vendors were being turned away from many villages,” he said. According to police, the clash was the fallout of a brawl between two groups seated at the back of the hall. One group alleged in its complaint that the other had objected to the slogan “Pakistan murdabad” in an item based on the Hindi movie “Gadar”. The other side claimed that the fight was the result of an “old enmity” between two local residents, Samad and Sopan Yadav. “Apart from the ‘panchnama’ (representation) from Limboda, we have received similar ultimatums from residents in a few other villages. Everybody is free to work anywhere and the Constitution does not allow such bans. No one can be prevented from engaging in business activity or entering any place on grounds of religion,” Rajkumar Raghuvanshi, in-charge, Khujner Police Station, said. Khujner has been a BJP stronghold for the last two decades although the Congress won from the Rajgarh Assembly constituency this time.